Why try to hide in sheep’s clothing? 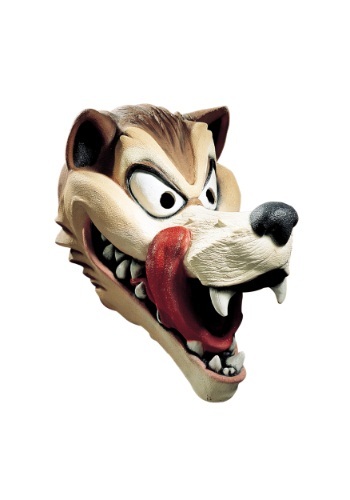 Just go into the Halloween party scene proudly as the Hungry Wolf you are with this awesome latex mask! This accessory has plenty of cartoony detail that will make it look as if you jumped out of the pages of a storybook. With the giant eyes and massive tongue, everyone will point you right to the refreshment table and pray that they have enough snacks to suffice your hunger.